Dell P2715Q is my second monitor from Dell and I can understand why Dell is still on top of monitor manufacturers for years. 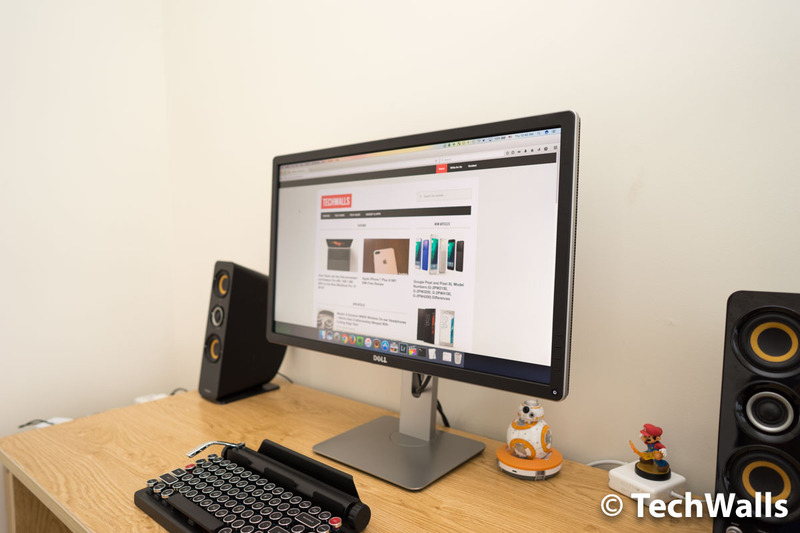 Although the monitor was released 2 years ago, it is still very difficult to find a better one on the market at the moment. 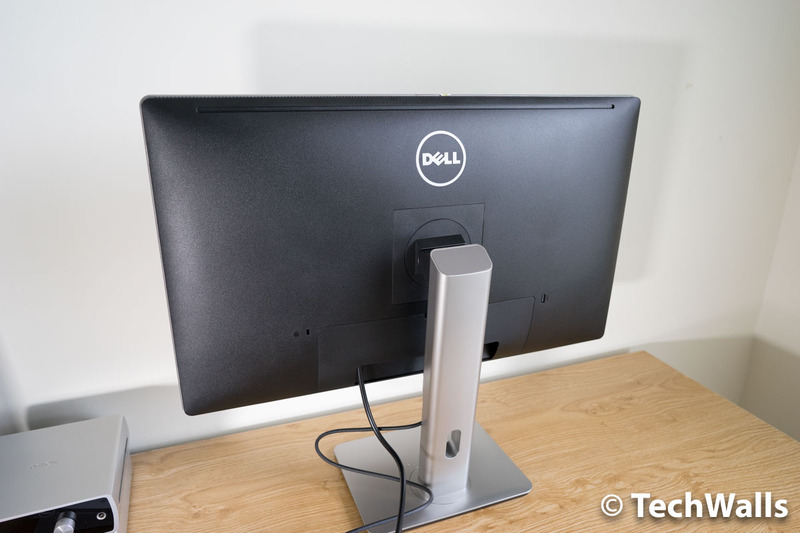 Keep reading for my full review of the Dell P2715Q 4K monitor. 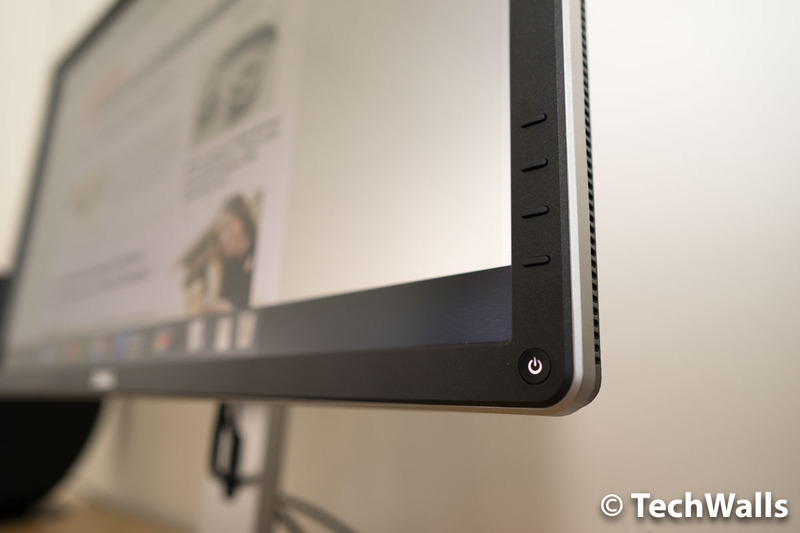 The Dell P2715Q obviously doesn’t have an eye-catching appearance as my previous Dell UltraSharp U2515H. The design is outdated in my opinion as we can see thick bezels around the screen with physical buttons on the lower right corner. Besides, it is also thicker and a lot heavier. 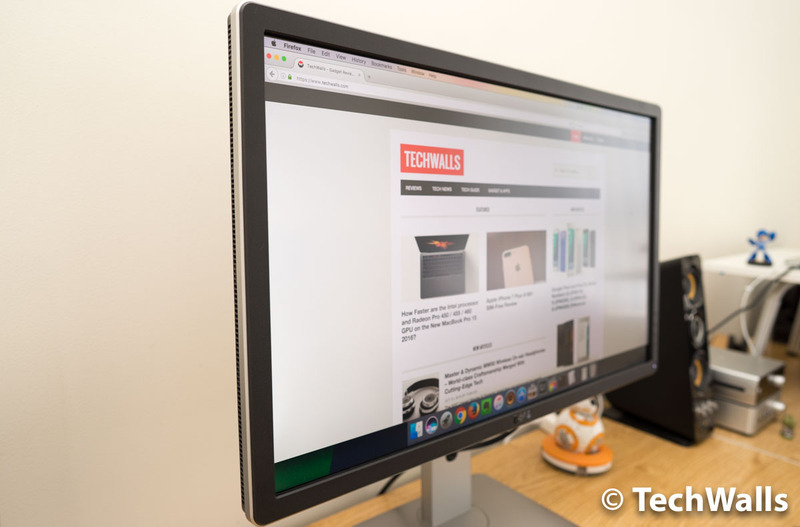 Similar to other Dell monitors, the P2715Q still uses plastic for most parts of the exterior, so it looks a little dull and you wouldn’t think this is a high-end product. Having said that, the monitor has a very good build and I love that Dell keeps its awesome stand. 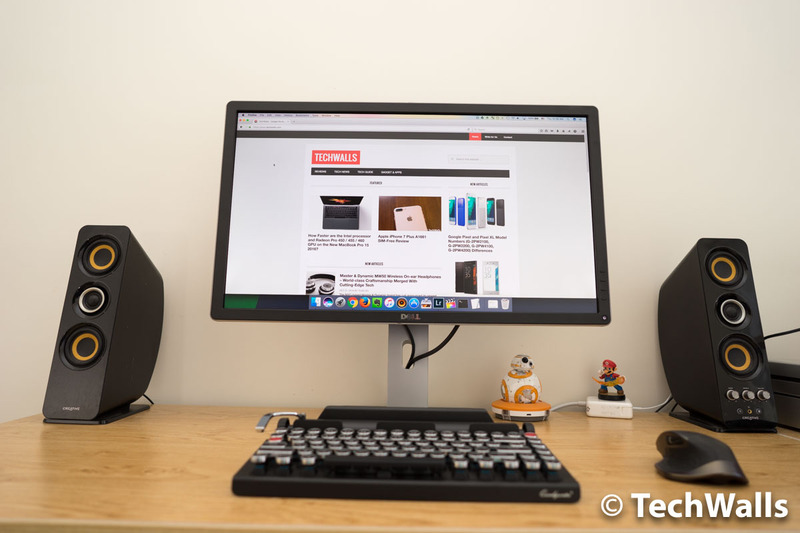 The stand can not only keep the screen sturdy, but it is also quite flexible. I can swivel the display to the left or right on the base, tilt it up or down, change the height, or even rotate it 90 degrees to change to portrait orientation. It’s quite easy to assemble the monitor and make it work. Inside the box, you can find everything you need, nothing more, nothing less. There are the monitor, a stand, a cable cover, a power cable, a USB 3.0 upstream cable, and an mDP-to-DP cable. All connection ports are located on the back. Here you can find the AC power port, HDMI (MHL) port, DP connector (in), mDP connector (in), DP connector (out), audio line-out port, USB upstream port, and 4 USB downstream ports. 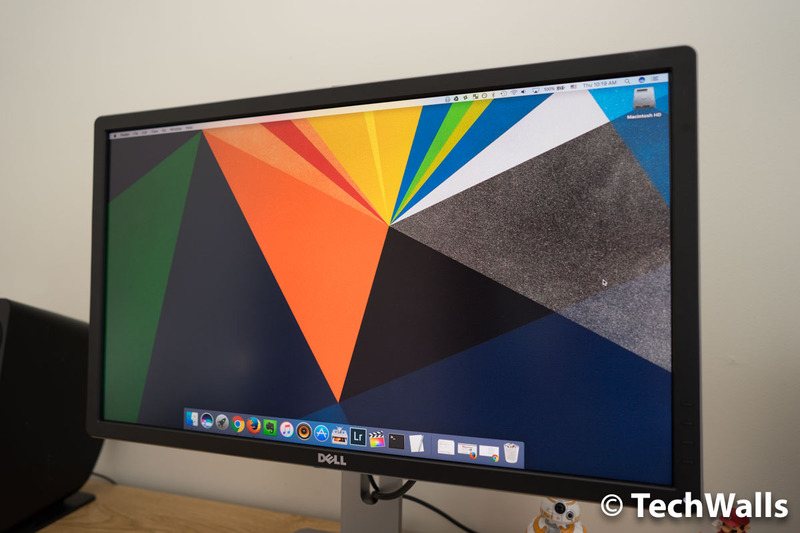 I connect my MacBook Pro 15 to the Dell monitor via the DisplayPort and I’m totally impressed with the picture quality. I’m so glad that the graphics card on my MacBook can fully take advantage of the Ultra-HD 4K monitor as it supports single-stream transports via the DisplayPort connection. It is capable of driving the 4K resolution (3840 x 2160 pixels) at 60Hz. However, you might need to scale the display instead of running it at the native resolution, otherwise, the text would become too small to be usable. The 27-inch screen seems to be not big enough for a 4K monitor even though I sit pretty close to the screen. I often use the scaled resolution of 1920 x 1080 pixels or 2560 x 1440 pixels, and the good news is that the image quality is not degraded, at least not to an extent that I can recognize. I run both the Dell P2715Q and U2515H at the same QHD resolution to compare the 2 displays. They didn’t look the same. Seemingly, the graphics card still processes picture at 4K resolution, scaled it down and then send to the monitor, therefore, everything looks incredibly sharp and crisp as we can expect from a screen with high pixel density. The U2515H still shows some jagged edges and pixels when looking up close, and it even doesn’t look as good as the built-in Retina display on my MacBook. On the other hand, the P2715Q produces an excellent image quality and it is even factory-calibrated, so it delivers accurate colors out of the box. I’m impressed the most with the color reproduction as it is so close to real life. Some earlier tests showed that it can cover 100% of the sRGB spectrum and 79% of the AdobeRGB spectrum. The contrast ratio is impressive as it could reach 690:1 at maximum brightness. 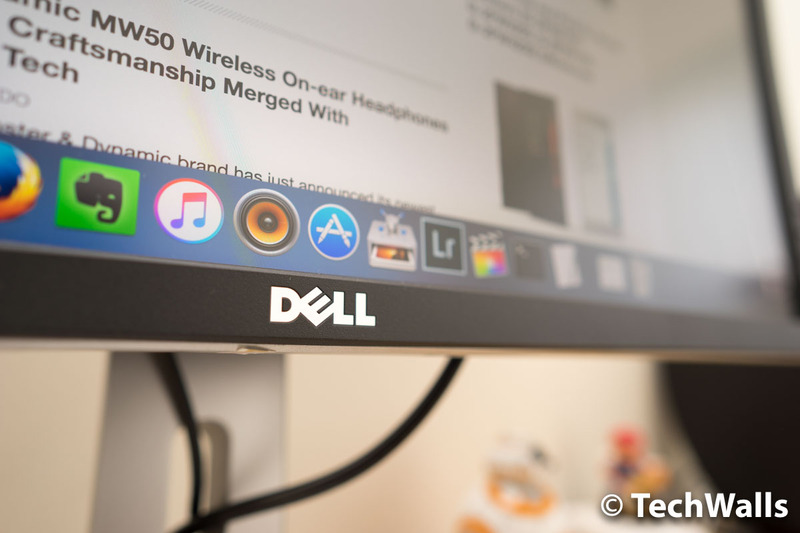 Besides, I appreciate that Dell uses a matte display with anti-glare coating, it helps me see the content clearly in a bright room and the viewing angle is pretty wide as well. 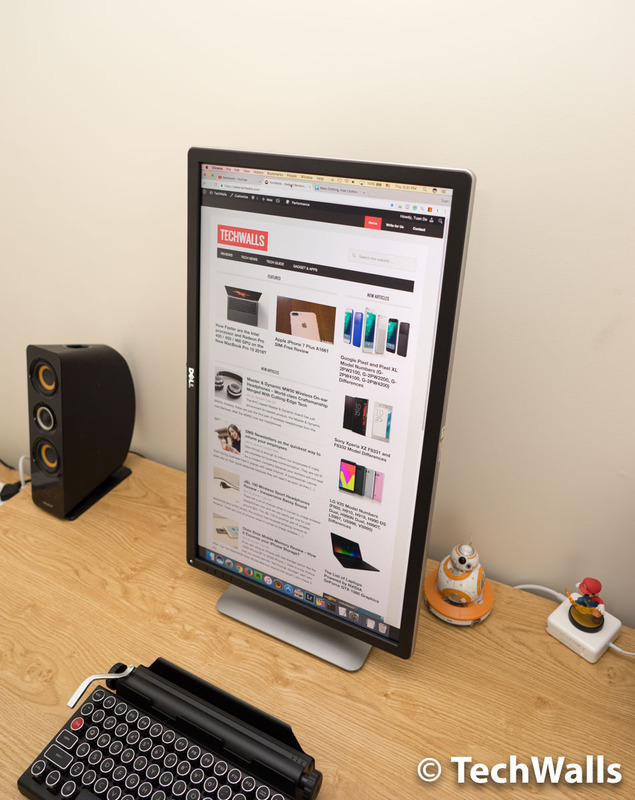 I’ve researched many 4K monitors available on the market and the Dell P2715Q is still unbeatable at the moment. We highly recommend the monitor and you can be confident for the purchase because it comes with 3-year advanced exchange warranty.